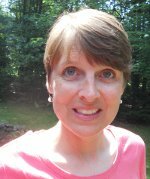 Interview with Lisa Von Drasek, Director of the Center for Children's Literature, Adjunct Faculty member, Children’s Literature Specialist, and Children’s Librarian at Bank Street College of Education. 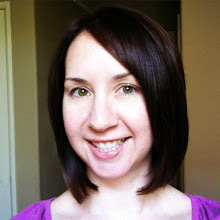 Lisa is also an ALSC board member, active member of ALA, and blogger for School Library Journal, and EarlyWord.com. Tell me one of the key things you try to teach future teachers who study at Bank Street College? Lisa: To not be too busy to read aloud. To make reading aloud part of the day. We read aloud all the way through middle school at our school. We model reading aloud for teachers who are learning to be teachers. Why is it so important to read aloud to children? Lisa: Ah, well, without reading aloud we won’t learn to read. You won’t hear those words and have the awareness of the sounds of the letters that make up a word. And it’s so important to read aloud even after your child knows how to read for themselves because you have a vocabulary that is vast compared to a six year old emergent reader. So you’re building a listening vocabulary every time you read aloud. Also, it’s like what we say about fiction, as you go through a book, you really can get into other people’s heads. For example, there is a new book called Wonder about a kid with a facial disfigurement. It’s told from his point of view, the point of view of the sister, and the point of the view of his best friend. 6th and 7th graders who hear this book read, start to live the lives of these middle school children. A classroom teacher who reads this book aloud gives children the permission and a safe place to hear these words. Do you feel it has more emotional impact when children hear a book read aloud versus them reading it themselves? I taught a child years and years ago, who had been born with cerebral palsy. She had difficulties speaking, but she made friends and was integrated as part of the classroom community. Years later I ran into her on vacation and she started telling her mom the story I read aloud when she was in the 3rd grade. Then she said, “Oh, you never finished the Tale of Despereaux!” She must have missed the last class. But the point is, you just don’t know the impact you have. Do you have advice for parents on how they can develop a love for reading in their children? What books do you recommend as read-alouds? Lisa: We’re always looking for the new great read-alouds. We have found that the number one question people ask us is “What are the best books to read aloud?” So our children’s book committee at Bank Street put together an ebook called Best Books to Read Aloud with Children of All Ages. It’s not a comprehensive list, but it’s a starting point. It helps you learn what we look for in a good read-aloud. 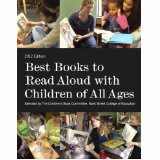 It answers questions, such as why and what are the differences in read-alouds for different age groups, and how to be interactive when reading aloud. Do you find that teachers or librarians are sometimes resistant to reading aloud? Lisa: I don’t think they’re resistant, but I think in this day and age people are expected to do things outside their comfort zone. So, everything is practice. You can’t expect anyone to read cold. You have to practice. That’s part of it. Sometimes, some people feel self conscious. What are some of the other key things you try to teach future librarians? 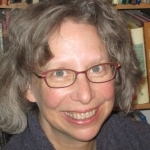 Lisa: Even if somebody else is selecting the books for your library’s collection, you have a professional responsibility to read reviews and to read. There’s School Library Journal, Library Journal, and VOYA. I read Horn Book. I read PW. I read Shelf Awareness. I write for Earlyword.com. How do you define what a young adult book is and who’s it for? Perhaps everyone you know is giving Hunger Games to 5th graders, but you don’t want to give it to 5th graders. What do you do? Well, maybe the answer is to not read aloud Hunger Games to 5th graders, but don’t take it out of their hands. Those are all professional questions you can ask the community to help you make your choices. How do you hope to make an impact with the work you do? Lisa: To get teachers reading. Teachers are busy and overwhelmed. They’re dealing with so many different issues. But despite all of that, I hope that they’re taking their kids either to their school library or to their public library, that they’re asking for recommendations and that they’re reading and sharing. What do you enjoy most about being a librarian and teaching teachers? Lisa: It’s when you’re in the teaching moment and the faces lights up. We have a picture book award that we give every year that’s a children’s choice award (The Irma Black Award). One of the four finalists is a book called All the Way to America by Dan Yaccarino, which is a very quiet book about generations. He comes from Italy to the United States with a shovel, and the shovel gets passed down. Just last Friday when I read it to the class, I turned the page and the narrator’s voice says “And my father would take us into New York City to the San Gennaro Festival, and we would eat Zeppelli and I love New York City.” And you turn the page and “Now when I grew up, I moved back to New York City where my great grandfather came to when he came from Sorrento, Italy.” And you see the kids’ faces all of the sudden go “Wait a minute. Wait a minute.” And the narrator continues, “And my children use that shovel to dig and plant on the terrace of our apartment and I’m a children’s book writer and illustrator.” And they’re all going, “Dan! Dan! The author of the book, it’s his story.” Even though it says in the title, The Story of an Italian Family that came to America, these 6 year-olds suddenly light up and make the connection. I think for every teacher, those are the moments that get you past the hard times. These are the moments you live for. The Irma Black Award for Excellence in Children's Literature is a children’s choice award that goes to an outstanding book for young children. 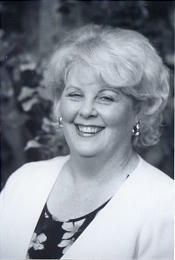 Over 10,000 children across the United States participate in the award, choosing four books as finalists from a field of sixteen that have been selected by the Children’s Book Committee at Bank Street College as a result of their reading over a thousand books published in the previous year. The four finalists for the 2012 Irma Black Award are All the Way to America by Dan Yaccarino, I Want My Hat Back by Jon Klassen, What Animals Really Like by Fiona Robinson, and You Will Be My Friend by Peter Brown. The list of semi-finalist can be found at bankstreet.edu/irmablack/semifinalists-2012/ and Lisa Von Drasek blogs about the progress of the award at blogs.slj.com/bank-street-irma-black-award/. The winner of the award will be announced April 9th, 2012. Now located in New York City just a few steps from Broadway, Bank Street College of Education has been serving students, families, schools and other non-profits, and the education policy community since 1916. It focuses on creating and understanding environments that enable children to learn. Bank Street aims to carry out this mission through engaging with children in classrooms, museums and other settings. In addition, Bank Street prepares teachers for these settings. And, through the activities of its faculty, Bank Street preserves and generates new knowledge about the teaching and learning environment.